This week, discuss sustainability over drinks, increase your team's cross-cultural awareness and celebrateÂ Canadian Science Policy fellows' recent achievements. Why: At this week’s Lunch Time Lecture at City Hall, Syrian conflict researcher Nour-Eddine Maghnaoui will discuss the conflict, how it could possibly be transformed, and peace-building processes. This chat, hosted by Mayor Lisa Helps and Jocelyn Jenkyns, the Acting City Manager, is part of the ongoing lecture series that is looking at city-building and what Victoria could look like 30 or 40 years in the future. Why: Green Drinks Victoria, part of Green Drinks International, is a monthly meet-up where all are invited to chat and network with others who have a keen interested in the environment and sustainability. Stop by The Drake for a drink and for passionate conversation with like-minded individuals. Why: Celebrate the accomplishments achieved by the 2017-2018 BC cohort of the Canadian Science Policy Fellowship, who have spent the year working at host offices like the Public Service Agency, the Ministry of Municipal Affairs and Housing and Emergency Management BC, and the Ministry of Agriculture. Ten BC fellows will showcase their experiences at their host offices — their projects examined everything from water infrastructure storage solutions for farmers to best response actions after an earthquake early warning system — and refreshments will follow. Why: The Prodigy Group’s July networking event takes place at the Parkside Hotel and Spa, and is open to Greater Victoria Chamber of Commerce members and future members. 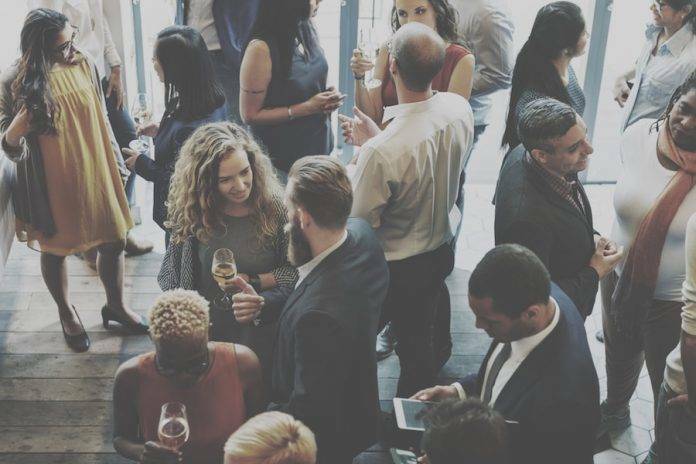 This evening event is a chance to mingle with emerging and established professionals in the community and learn what other business-people in Greater Victoria are doing to affect change. Why: Offer your team on a unique team-building opportunity this Saturday: a guided cross-cultural training tour. The tour, which includes stops at a Muslim mosque, Buddhist temple, Sikh temple and Hindu temple, is meant to increase awareness of the city’s diversity, enhance cross-cultural communication and celebrate differences. Space is limited and pre-registration is required.